This is a basic rear drive mini motor kit compatible with 36 volt batteries with power options ranging between 200Watts and 350Watts. 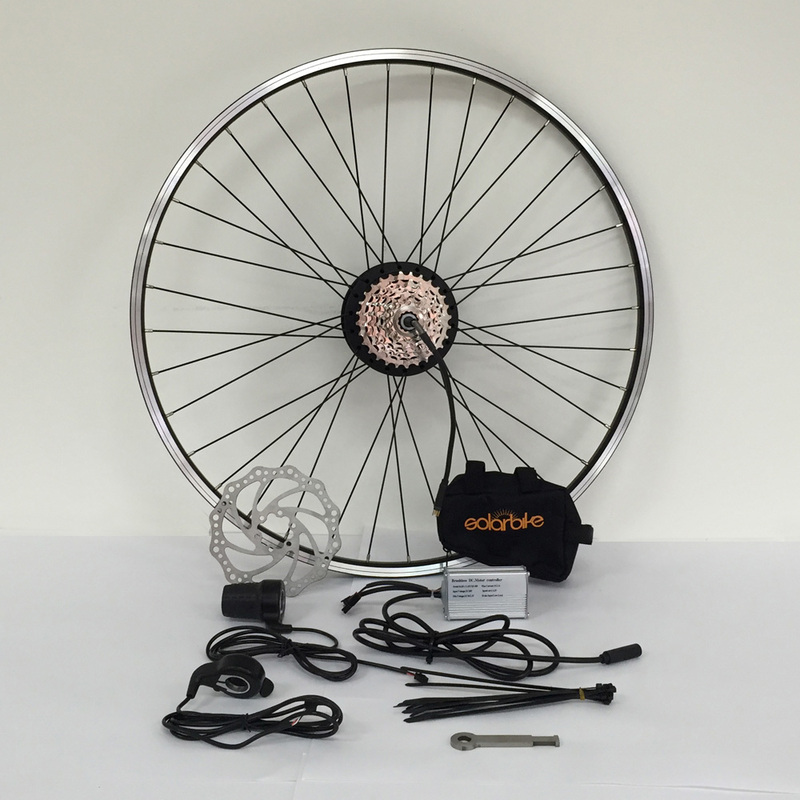 The kit includes motor laced into ALEX rim with stainless steel spokes, motor controller, twist grip throttle, thumb grip throttle, 8 speed cassette, torque bar, cable ties, disc, inner tube and instruction manual. All kits are disc compatible and will work with any 36V battery. 200W is the legal limit for riding on the road. Rim sizes available: 20″, 26”, 650B or 700c. Information: Kit includes motor laced into ALEX rim with stainless steel spokes, motor controller, twist grip throttle, thumb grip throttle, 8 speed cassette, torque bar, cable ties, disc, inner tube and instruction manual. All kits are disc compatible and will work with any 36V battery. 200W is the legal limit for riding on the road.